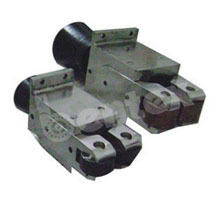 We are a prominent manufacturer of Roller Guide Box & Twist Pipe that is renowned for its efficient performance and developed with the help of effective technology. With the soul aim to offer world class range of products to our prestigious clients, we manufacture and supply the finest array of Heating Equipment that includes Reheating Furnish Equipment. We are successfully exporting our range of products to the various countries of Indian Subcontinent, North Africa, South/West Africa, East Asia, Middle East, South East Asia and various countries. Our customer can avail this range at much genuine prices. Our valuable experience in the industry has supported us in the manufacturing of premium quality Roller Guide Box & Twist Pipe. 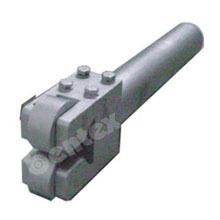 These Roller Guide Box & Twist Pipe are fabricated in accordance with the international standards. To cater to the requirements of customers, we also offer them the facility of customization in accordance to their industry specific requirements.